NASA’s screen-cast of the recent drop in solar (sunspot and flare) activity and the now expected cyclical shift back up, as solar activity starts to pick up again. As per the NASA-NOAA prediction panel which is comprised of leading solar physicists, this could lead to an upcoming mini solar maximum cycle in 2014. Coronal mass ejection (CME) is the violent release of gas, radiation and magnetic fields, above the Sun’s corona and then often into space. 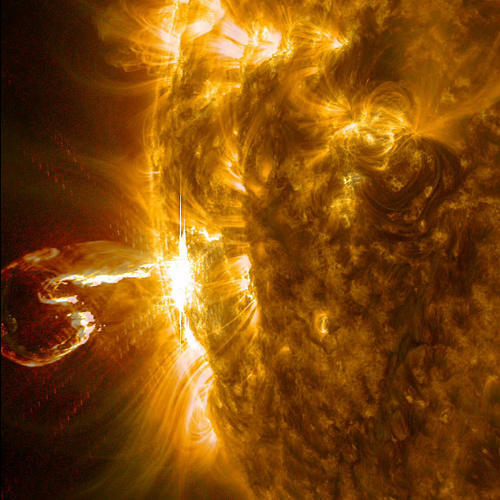 This picture from August 18, 2013 is of a medium solar flare (M-class flare) and the associated coronal mass ejection. 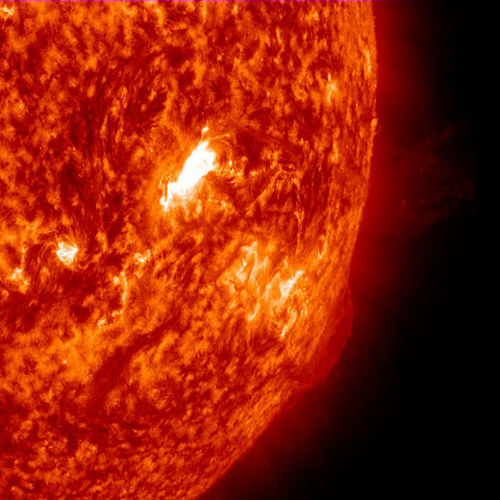 The solar flare is the strong bright region while the CME is the plasma streaking out. 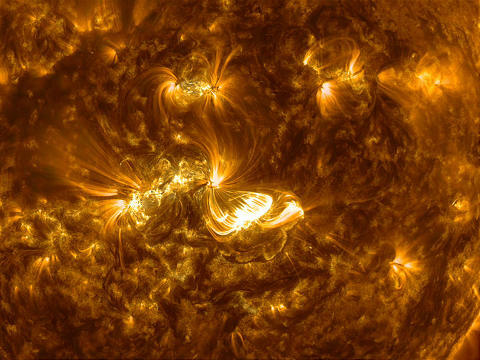 This picture was taken by NASA’s Solar Dynamics Observatory (SDO). SDO is a mission launched in 2010 to study the causes of solar variability and its impacts on Earth. A CME directed towards Earth could affect affect us greatly. It could cause our planet’s magnetic field to shift suddenly; inducing electricity in large, powerful conductors. This would overload the affected electrical systems and cause massive damage to the critical electricity transformers and other grid infrastructure – with potentially drastic results for mankind.